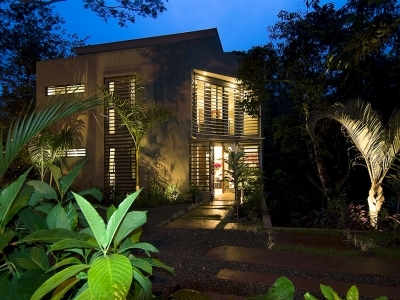 0.25 ACRES – 5 Bedroom Modern Contemporary Masterpiece With Pool In Rainforest!!! 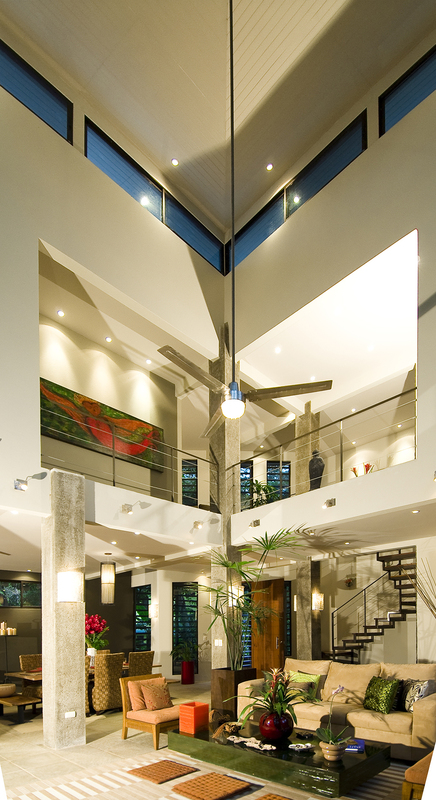 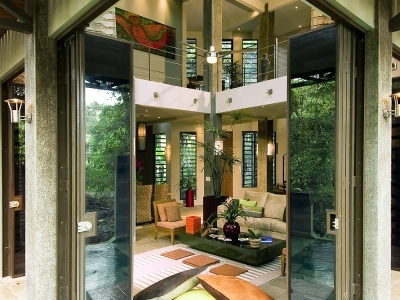 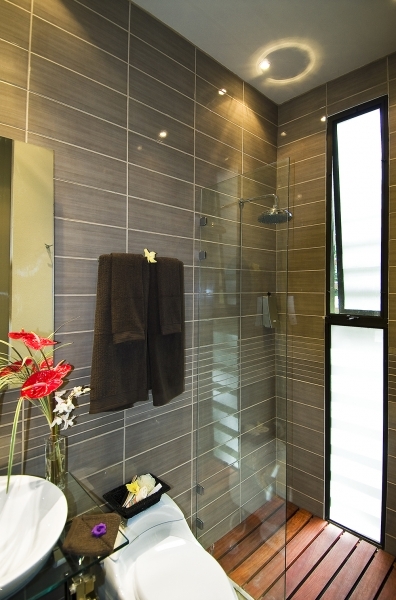 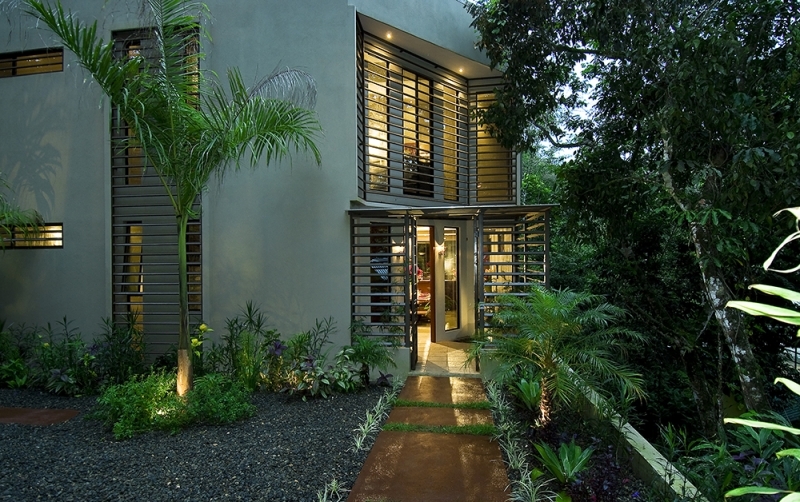 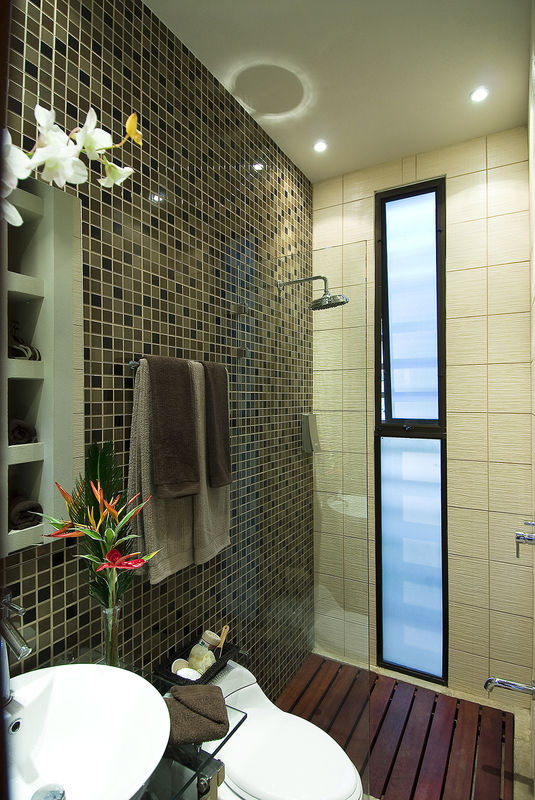 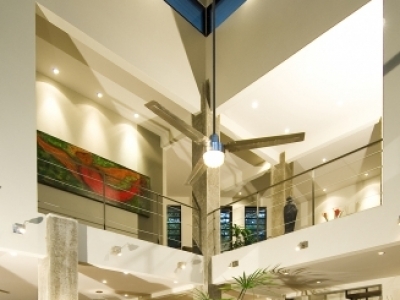 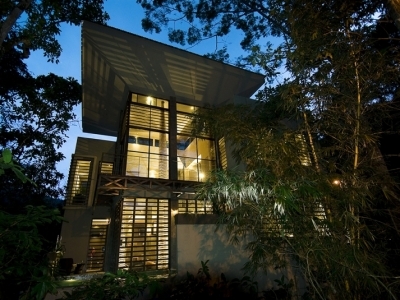 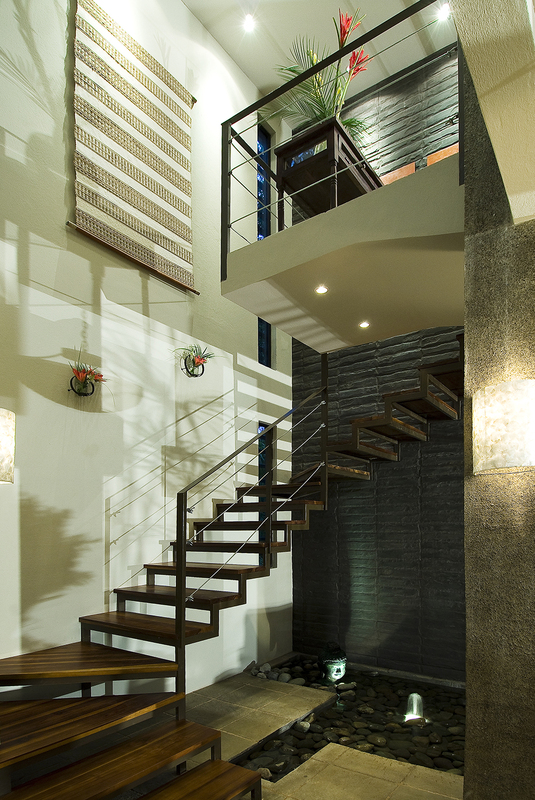 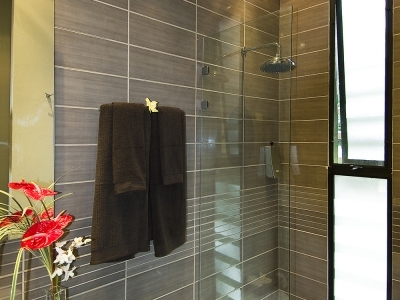 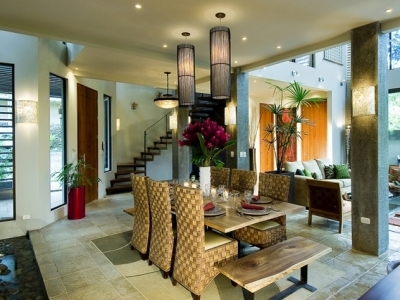 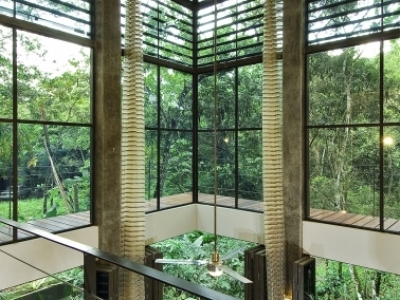 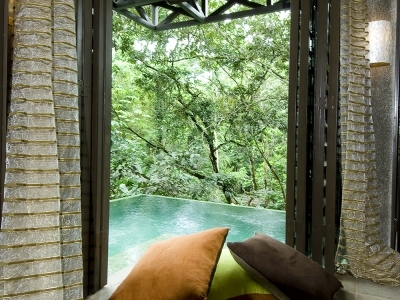 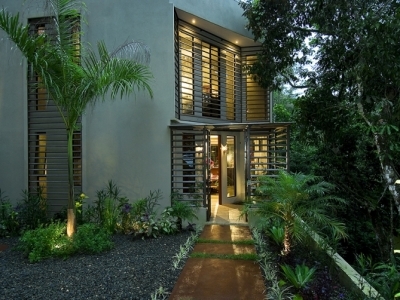 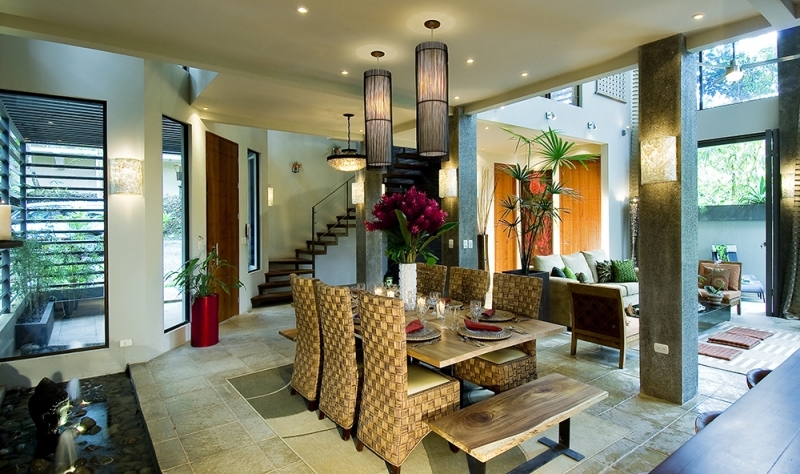 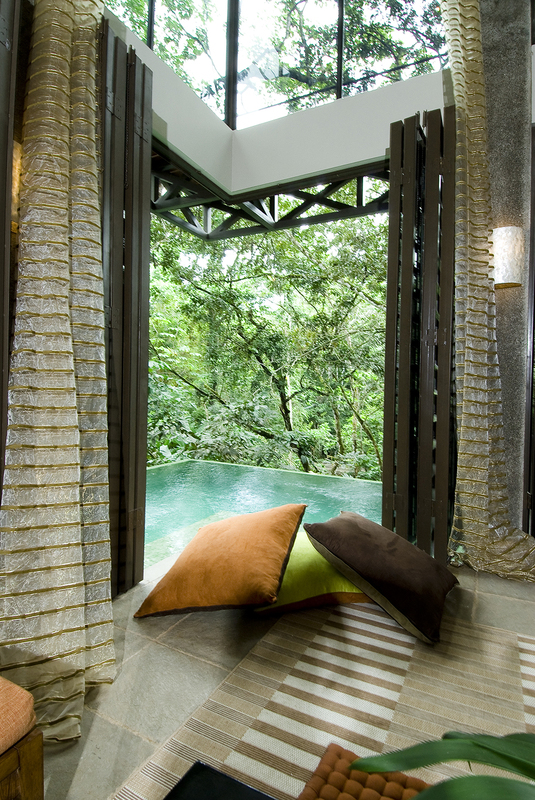 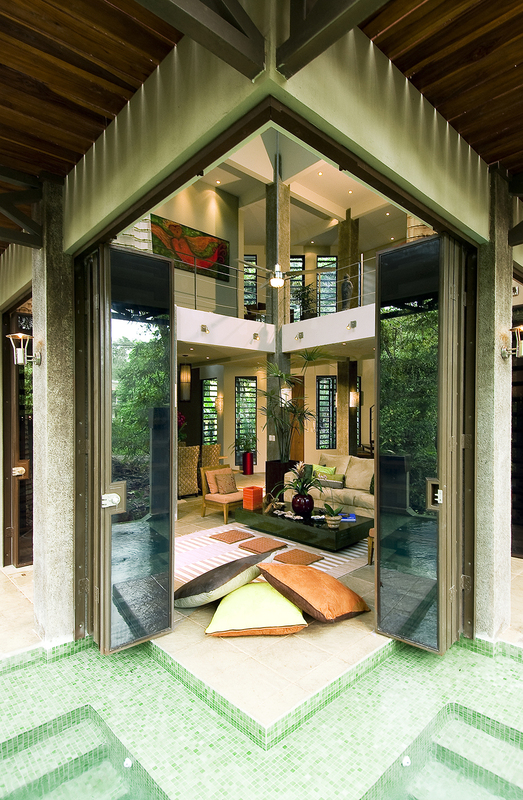 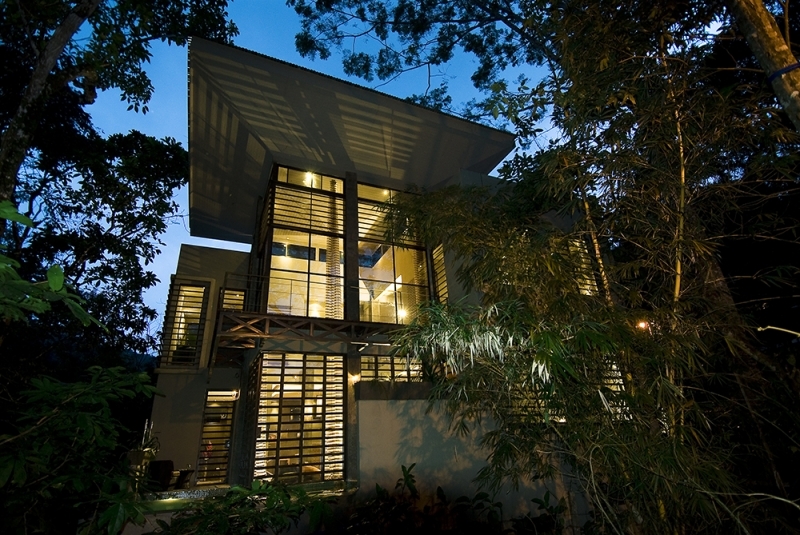 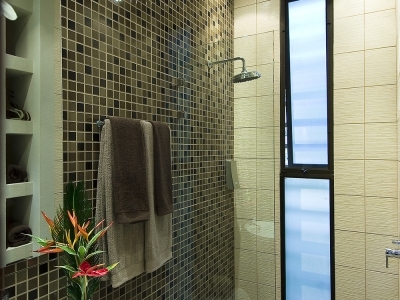 modern architecture with an organic sense of being submerged in the rainforest that surrounds the home. 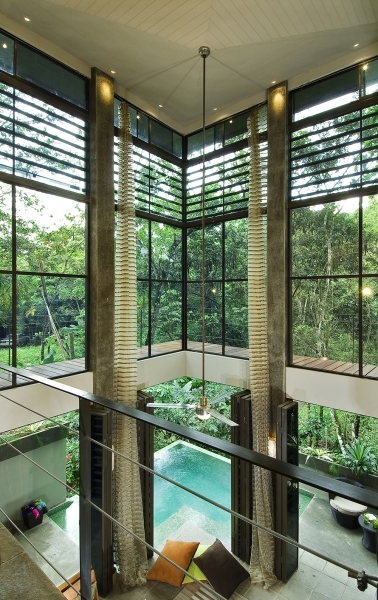 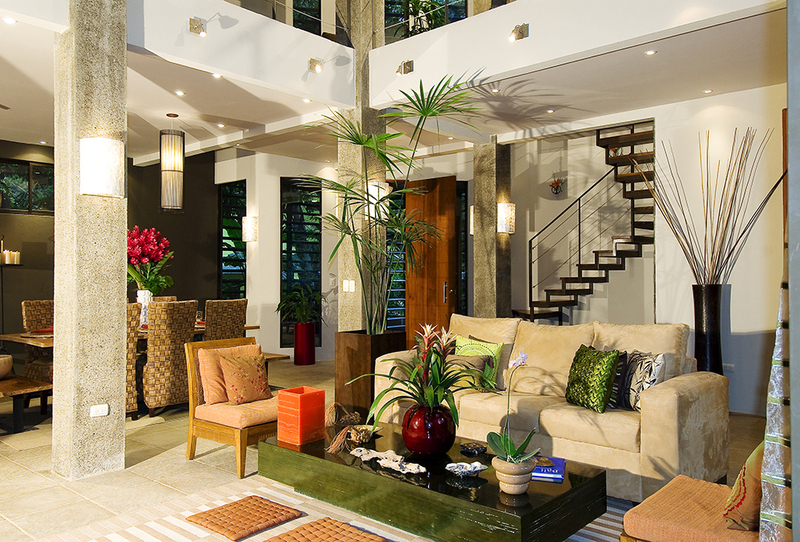 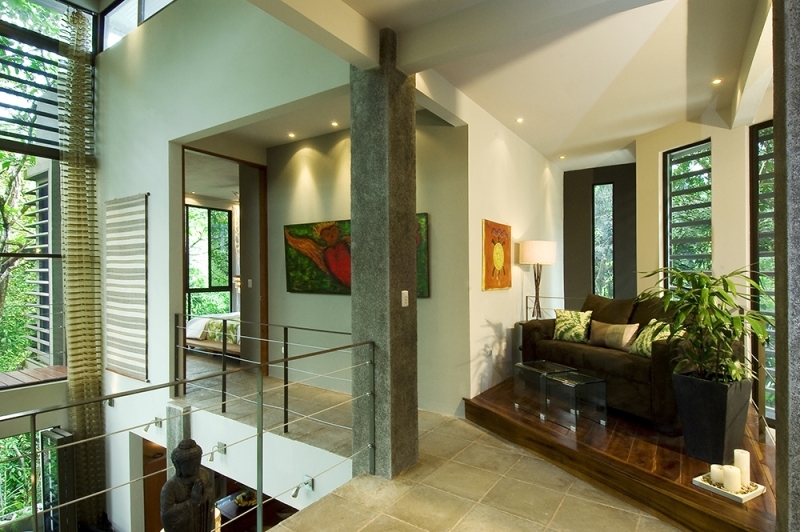 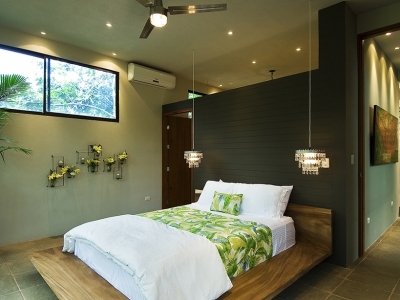 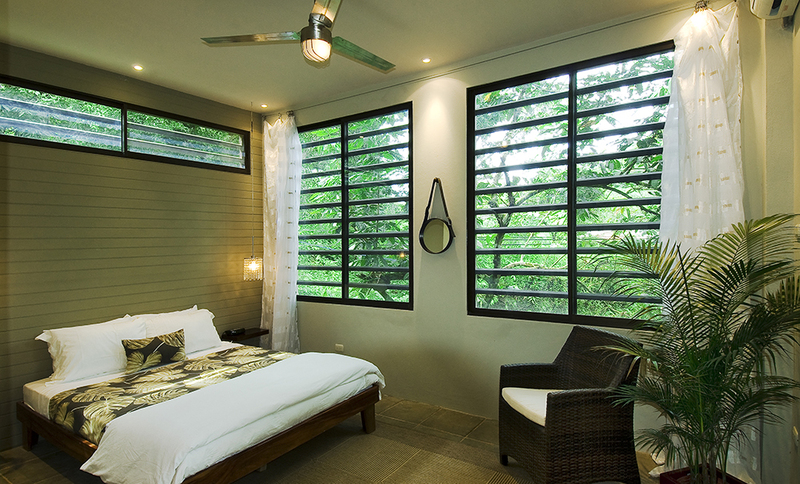 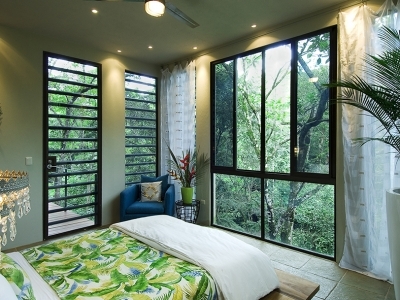 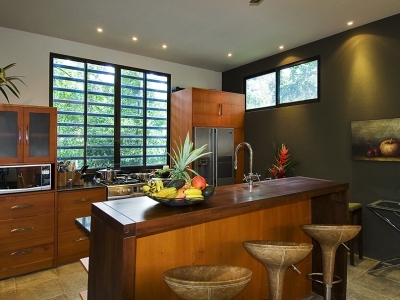 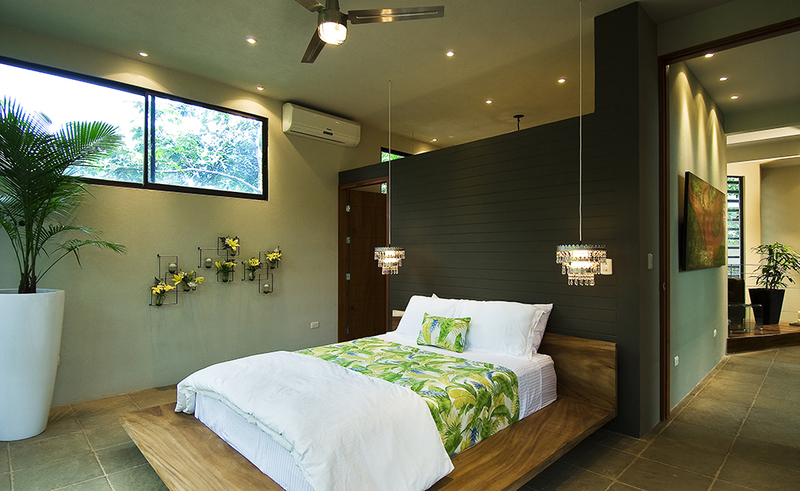 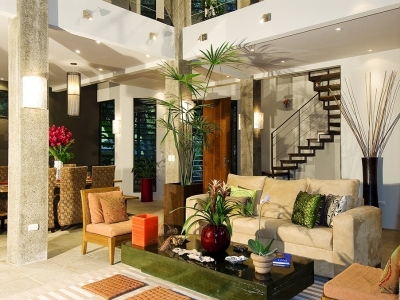 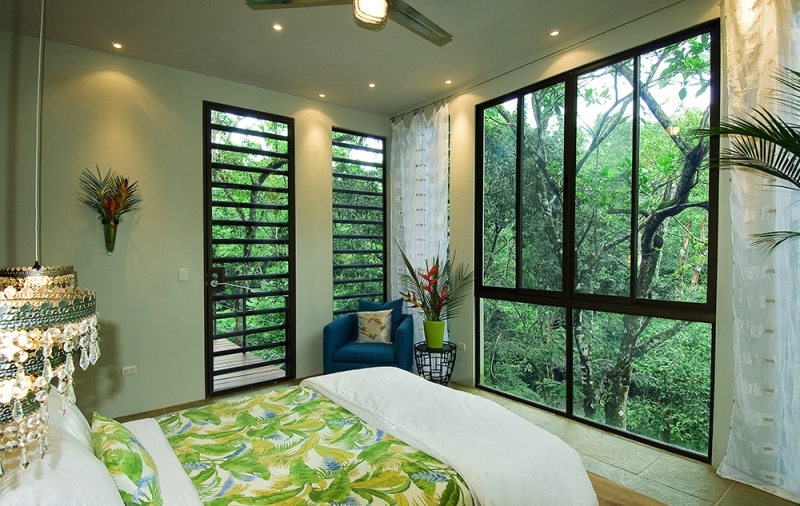 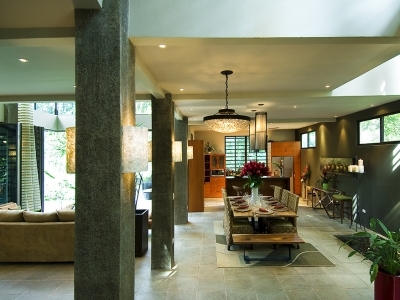 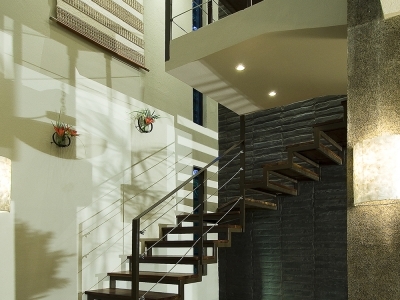 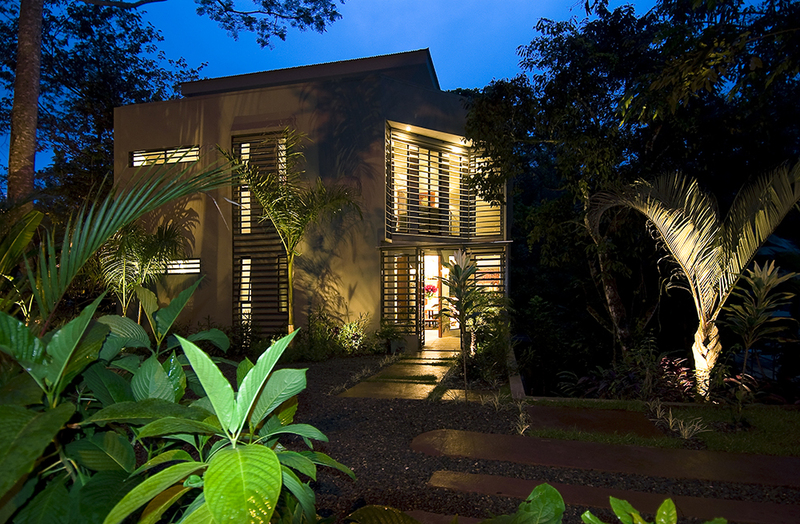 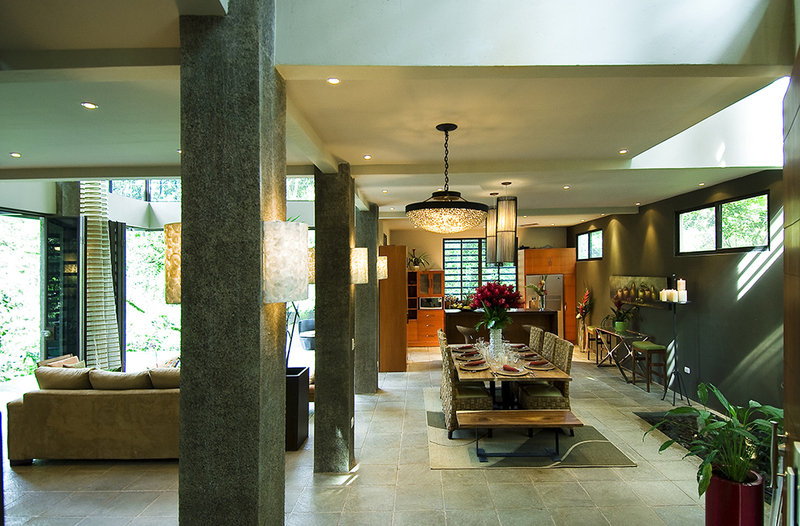 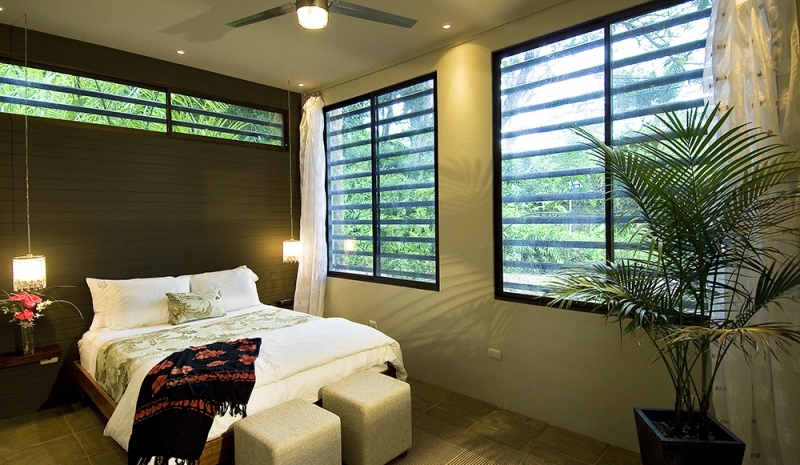 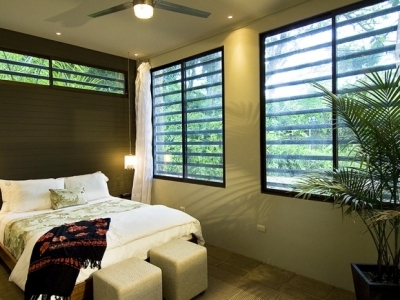 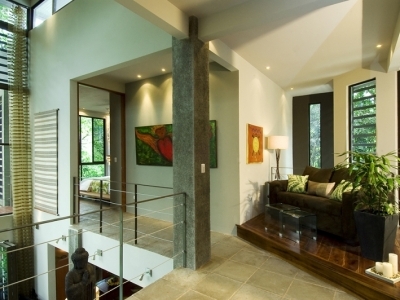 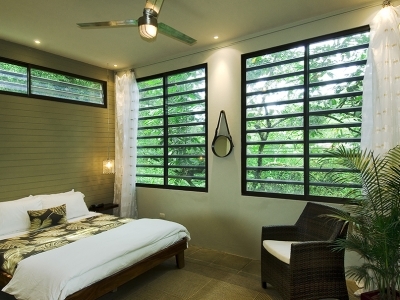 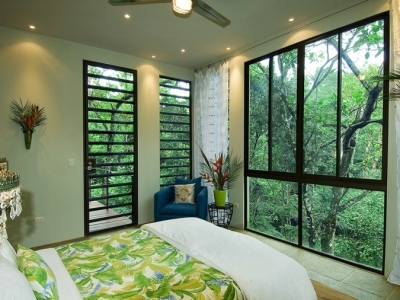 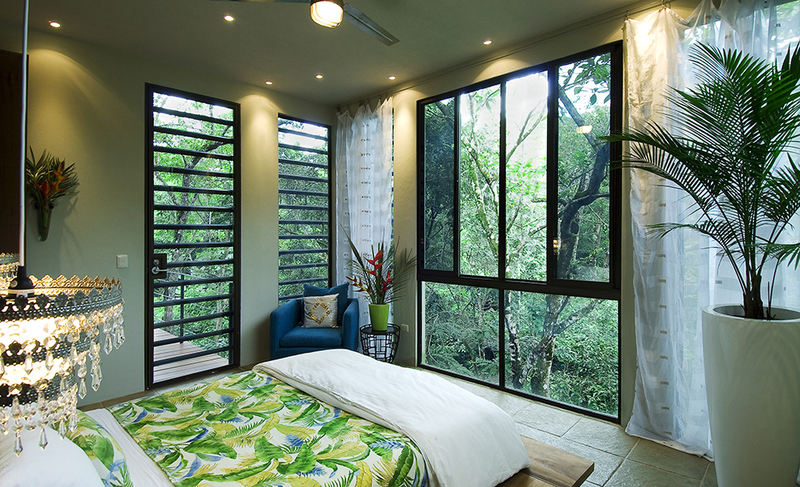 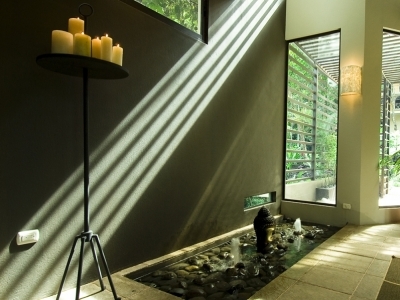 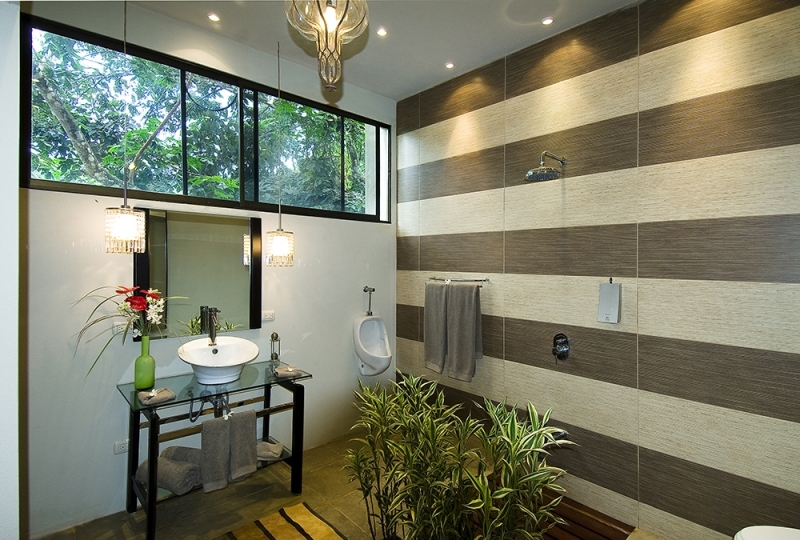 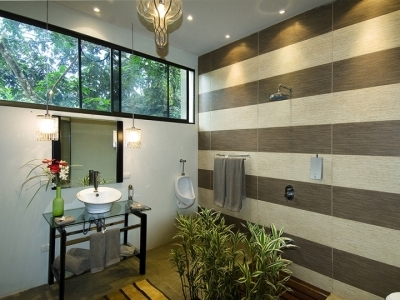 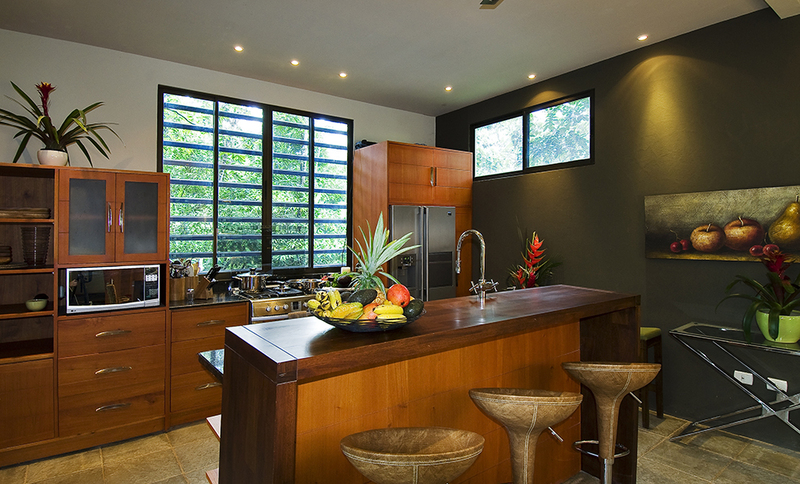 Casa de Agua was designed and built by an interior design specialist with the concept of blending the year-round creek behind the property and rainforest of Valle Pura Vida into a luxurious living space. 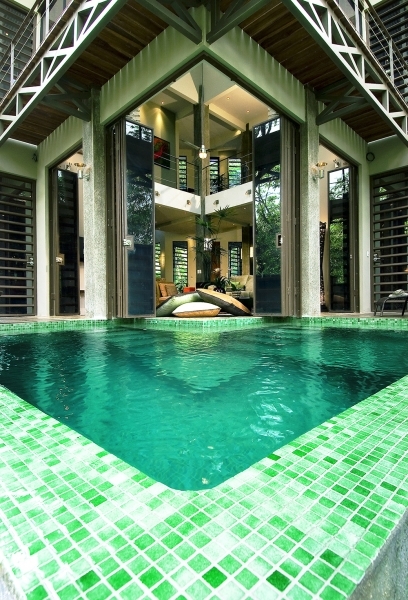 The home consists of a total of 5 bedrooms but is conveniently split with the main residence which has three bedrooms, three full bathrooms, a fully equipped kitchen, living, and dining area that all open to a luxurious mosaic pool lofted above the creek below. 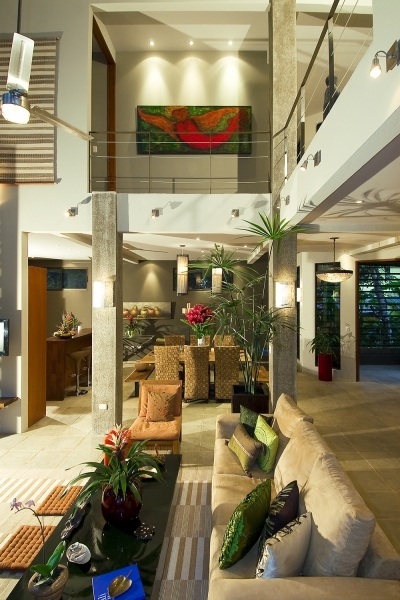 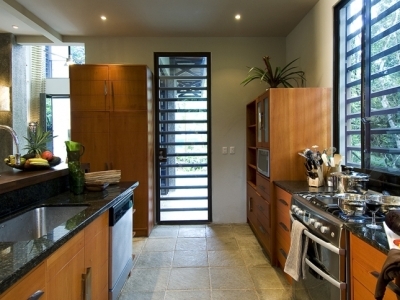 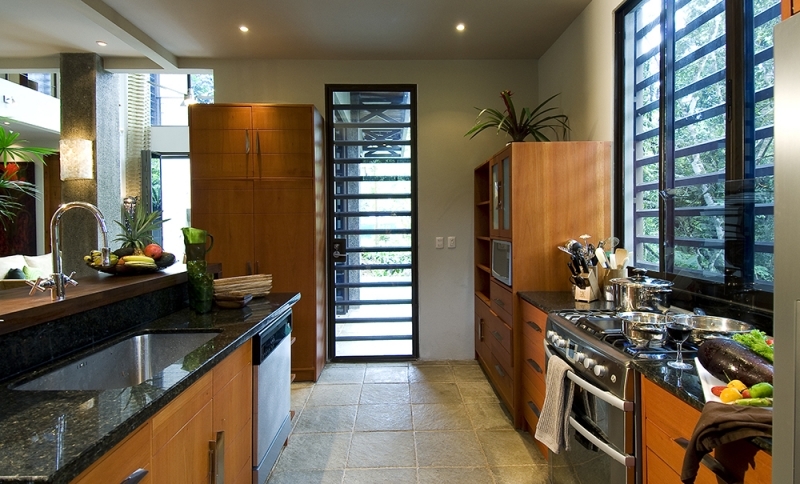 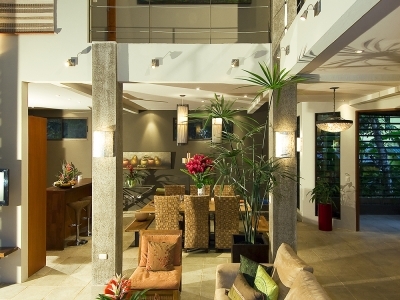 The main house is built on two levels and everything about the property down to its exterior finishes and entry features oozes contemporary luxury with a tropical connection. living space and pool area.